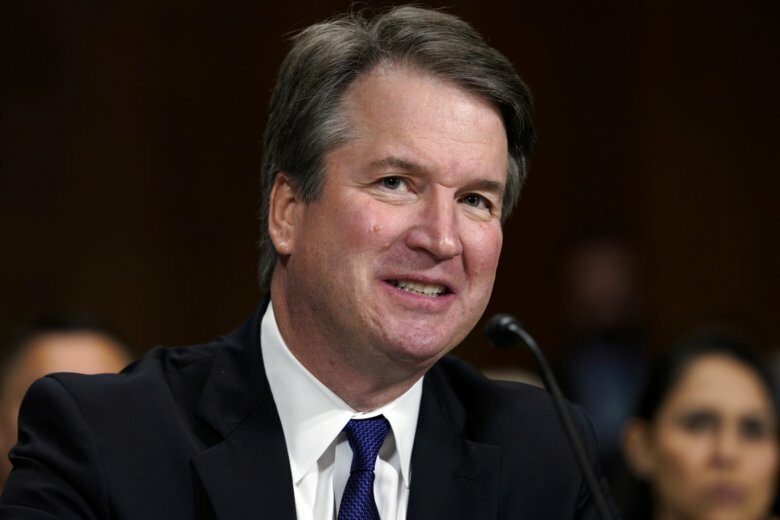 NEW YORK (AP) — Supreme Court nominee Brett Kavanaugh attracted more interest from television viewers during last week’s Senate Judiciary Committee hearing than Christine Blasey Ford, the woman who accuses him of sexual misconduct. The audience during the peak hour of Kavanaugh’s testimony last week was 35 percent bigger than for Ford’s on the three top broadcasters and three cable news networks. Ford’s audience was 18.76 million in the 11 a.m. hour, while 25.34 million watched at 5 p.m., the Nielsen company said. Kavanaugh’s audience was bigger on all of the networks, although the discrepancy was largest on Fox News Channel. Some part of that difference can likely be attributed to common viewing habits: more people are usually watching TV as evening approaches than in the late morning. Whether any political favoritism is at play is open to interpretation. “There was an inherent drama in the way the day unfolded,” Christopher Isham, CBS News Washington bureau chief, said on Wednesday. Ford said she was 100 percent sure that Kavanaugh attacked her at a high school party, and he was equally adamant he didn’t do it. In any sort of conflict, the better-known person is likely to get more attention, and in this case it was Kavanaugh, said Chuck Todd, host of NBC’s “Meet the Press.” It was the first time the public had seen Ford, whose accusations had dominated the news over the past few weeks. To a certain extent, Ford’s testimony raised the stakes — and likely the audience size — for Kavanaugh, said David Bohrman, a news consultant and former CNN bureau chief. Word got around. ABC, CBS, NBC, CNN, Fox News Channel and MSNBC carried the hearing live last Thursday. Fox News had the biggest audience throughout the day, even during Ford’s testimony. But the network that appeals to fans of President Donald Trump saw a rapid rise in mid-afternoon, right around the time Kavanaugh started talking, with its audience jumping by more than two million people within an hour, Nielsen said. “He’s their name brand in this case,” Todd said. Fox had 7.55 million viewers during the peak of Kavanaugh’s testimony. Each of the other networks ranged roughly from 3 to 4 million, Nielsen said. The audience for CBS and CNN increased by 18 percent between Ford and Kavanaugh. Still, Kavanaugh’s angry, emotional appearance likely made for more compelling viewing. It’s not for nothing that “Saturday Night Live” brought Matt Damon in to impersonate Kavanaugh for its season-opening skit over the weekend.